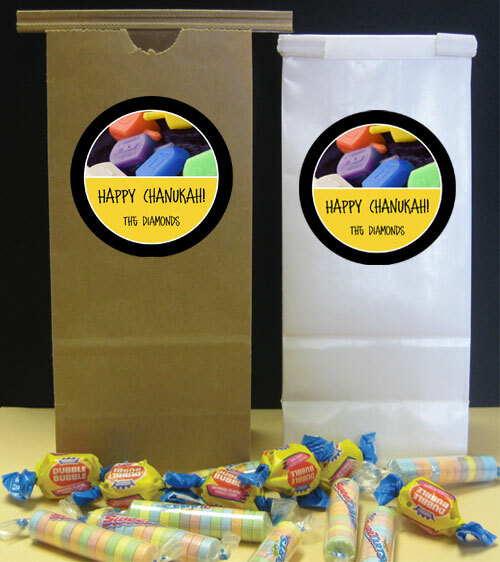 Chanukah Party Favors. 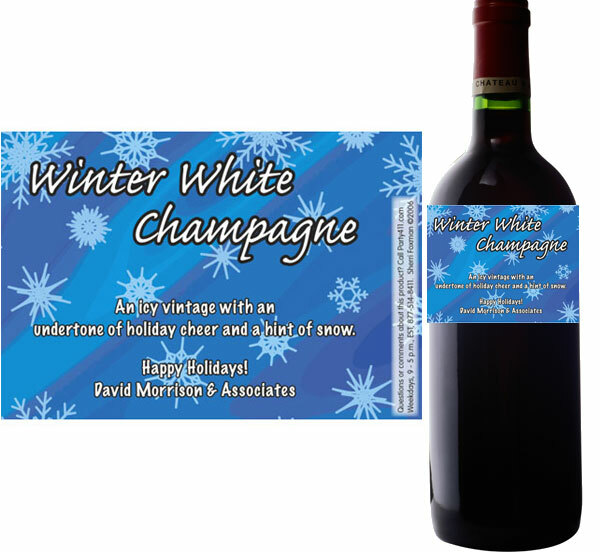 It's a time to give gifts. 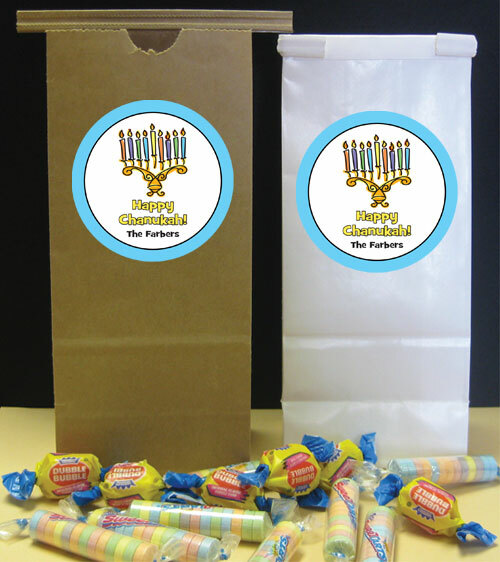 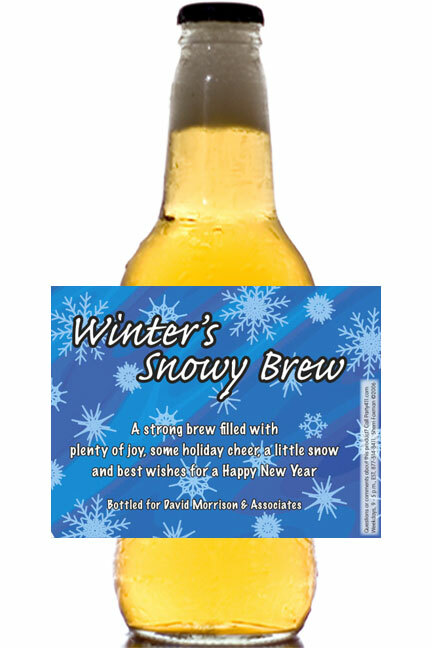 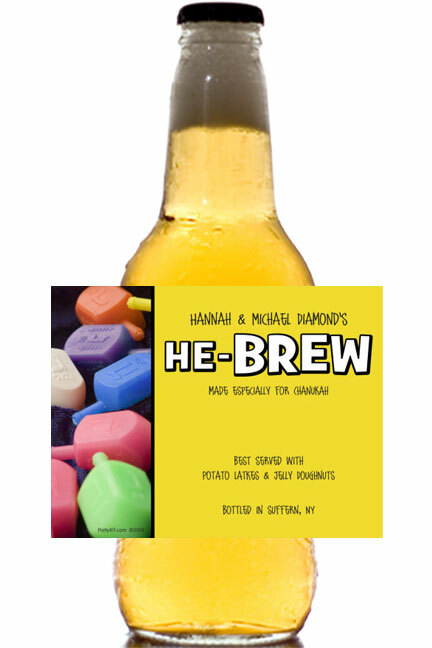 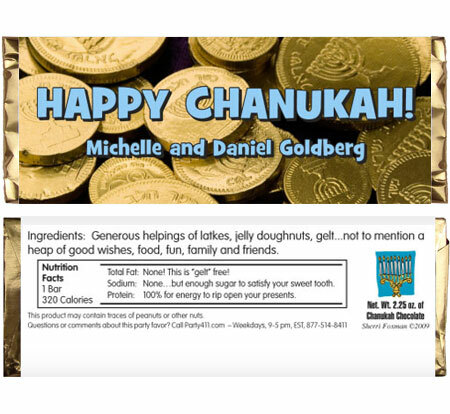 The Chanukah party favors are a great memory of your Chanukah celebration. 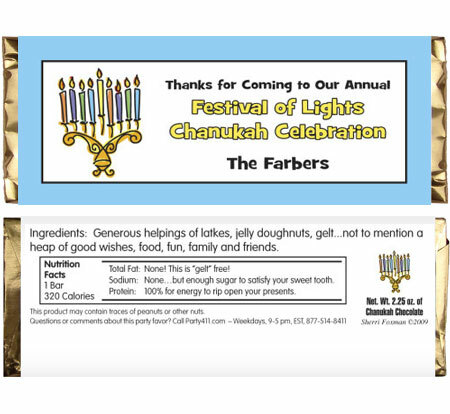 Celebrate the Festival of Lights with this Menorah banner! 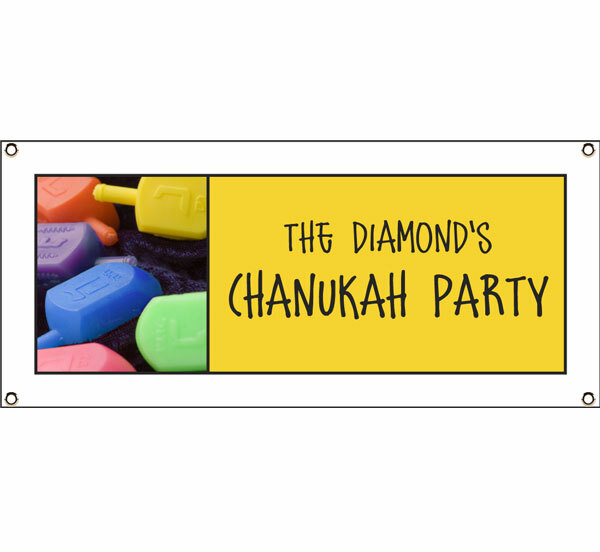 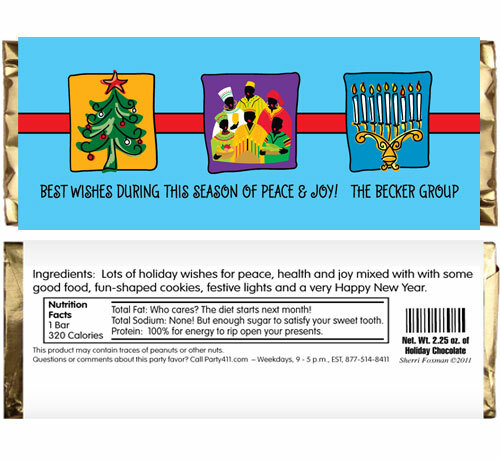 A Hanukkah banner with everything you need for your holiday party! 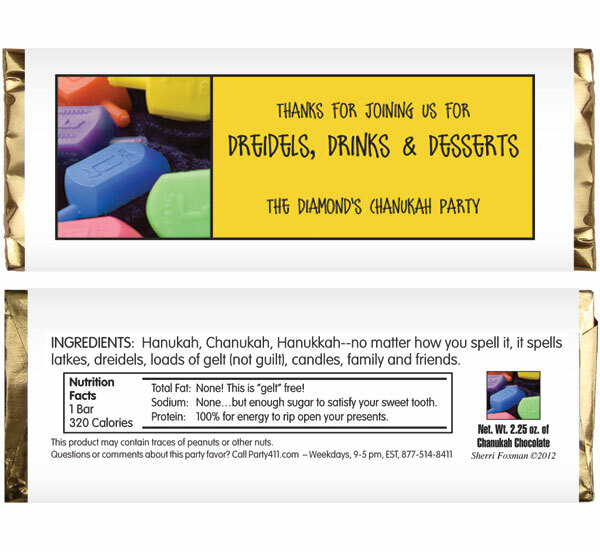 A fun alternative to gelt! 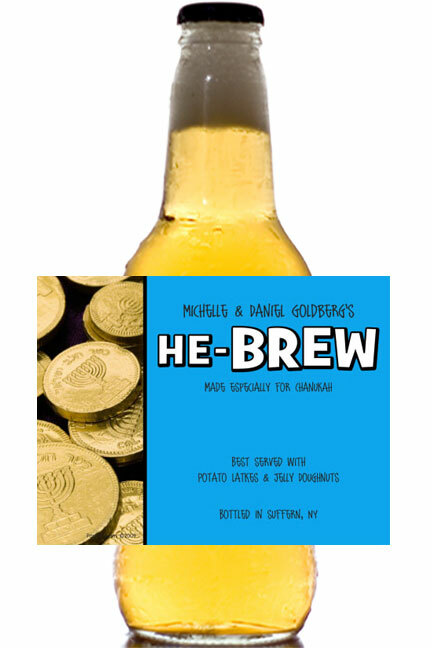 Almost as tasty as gelt!